Don Woodcock is a master fiddler and three-time New York State fiddle champion. He learned his craft by observing the playing of his father, Howard. In 1987 he was inducted into The New York State Fiddlers’ Hall of Fame and is a 1997 TAUNY (Traditional Arts in Upstate New York) Heritage Award winner. His deep North Country roots made him an important resource for TAUNY’s award winning project Songs to Keep which was aired on PBS. Guest hosts on bluegrass program, String Fever on North Country Public Radio with Barb Heller. Gretchen Koehler first made her mark as a young contest fiddler throughout the Eastern US and Canada, winning contests in 7 states and 3 provinces. She is at ease playing a wide range of fiddle styles, from Old Time to Celtic to Quebecois, and is a sought after workshop clinician, in addition to teaching at her private fiddle studio in Potsdam. In 2012 she was inducted into the New York State Fiddlers' Hall of Fame in Osceola, NY and is TAUNY's 2014 Heritage Award recipient for her work to preserve old customs. 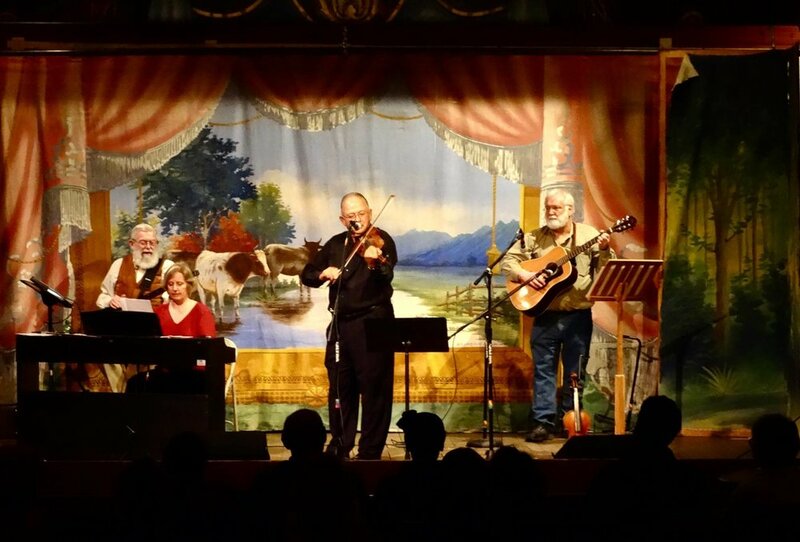 In their continuing efforts to promote Old Time music, they host "First Friday of the Month" jams at TAUNY with North Country Public Radio host, Barb Heller. 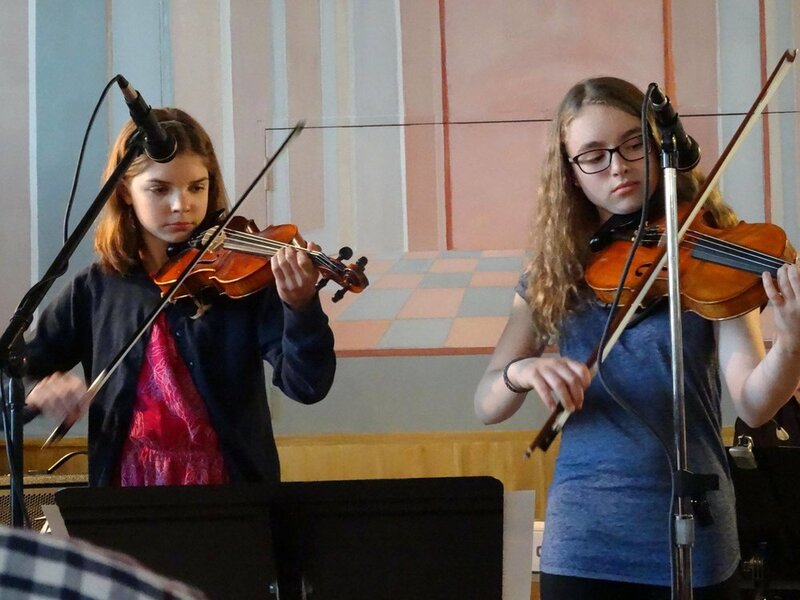 In addition to their own recordings, together they have recorded an album of Old Time fiddle tunes in three part harmony called The Fiddlers’ Three with Gretchen’s sister, Rebecca Koehler. 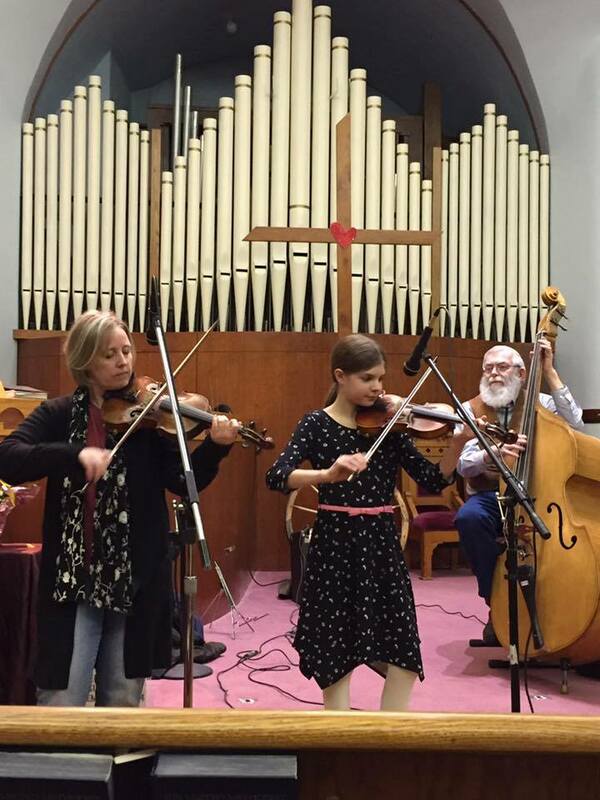 Gretchen & Don had their fiddles singing while we were clapping and stomping our feet! NY State "Fiddlers' Hall of Famers" Gretchen Koehler & Donny Woodcock play "Red Wing" in two part harmony. 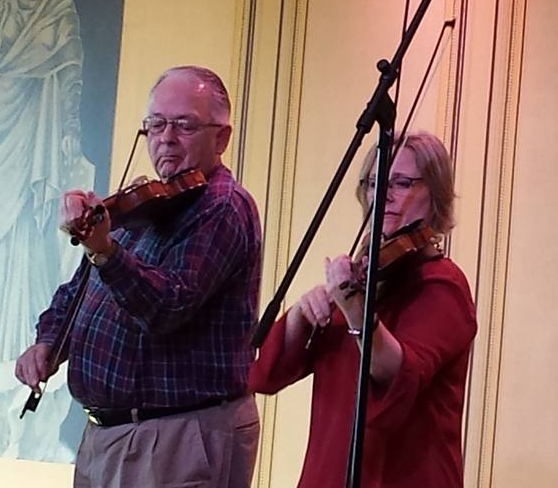 Members of The Madstop Fiddlers play Westphalia waltz, with guest Don Woodcock.